The Immigrant director James Gray’s handsome exploratory film The Lost City of Z had its South African premiere at the 38th Durban International Film Festival http://www.durbanfilmfest.co.za/. 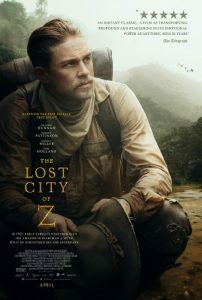 Starring Charlie Hunnam in the role of British explorer Percy Fawcett who establishes his inherent masculinity in the opening shot of the film as Fawcett hunts deer on an estate in Ireland during the Edwardian era. Hunnam embodies the role of the hunky and courageous explorer Percy Fawcett who according to legend was the inspiration behind Indiana Jones and also whose life was briefly drawn upon in the Charles Sturridge film A Handful of Dust starring James Wilby and Kristin Scott Thomas. 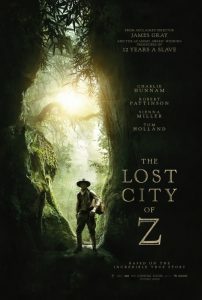 Although The Lost City of Z is set during an earlier period pre World War 1 and in the early 1920’s it documents the extraordinarily bizarre story of Fawcett who with the backing of the Royal Geographic Society travels to the unexplored border of Bolivia and Brazil deep in the Amazon jungle and becomes convinced that there is indeed evidence of a much earlier advanced population that lived there in a illusive city of Z, an exotic place hidden in the jungle filled with gold far removed from the civilized establishment of Europe. After several tormented expeditions to the heart of the Amazon with his aide-de-camp Henry Costin played by Robert Pattinson, his geographical explorations are halted when world war one breaks out and Percy is forced to fight, leaving his frustrated wife Nina played by Sienna Miller (Foxcatcher, American Sniper) to look after his three children. Nina sees the value of her husband’s expeditions but wishes that as a woman she has more influence to assist him, such as accompanying him to the tropics, a desire which Sienna Miller conveys beautifully in her screen portrayal. Angus Macfayden (We Bought a Zoo,) plays the disruptive financier and explorer James Murray who Fawcett and Costin abandon on a second expedition to the Amazon just before WW1 breaks out. Murray attempts to discredit’s Fawcett’s reputation as an explorer. 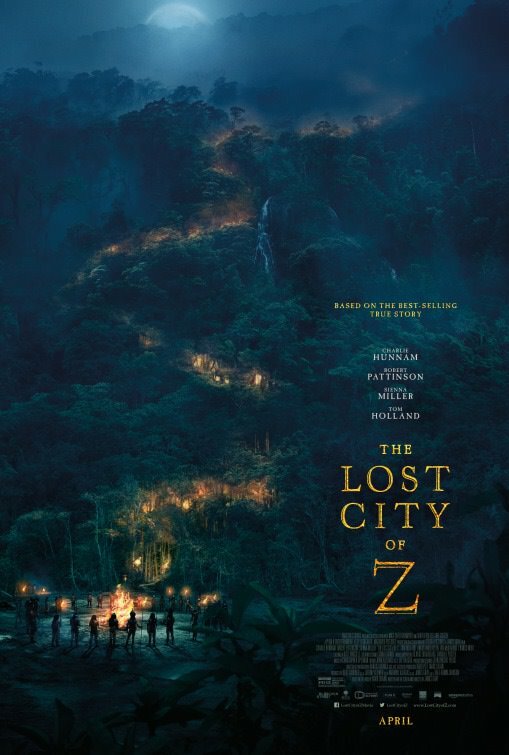 Despite internal society politics and world war, The Lost City of Z is a fascinating portrayal of one man’s quest to discover The Other, the truly exotic even if it means possibly endangering his own life and that of his son Jack played by Tom Holland (Spiderman Homecoming). Fawcett in his quest for discovery pays the ultimate price of a nobleman obsessed with a savage jungle. Audiences should watch out for a cameo by veteran Italian actor Franco Nero (Django, Django Unchained) as the decadent Baron De Gondoriz who has established a debauched Portuguese outpost deep in the Amazon complete with naked tribes and operatic performances. 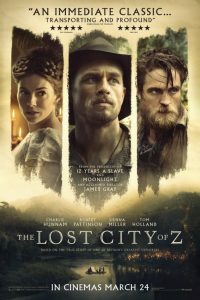 With a screenplay by James Gray and David Grann based upon the book The Lost City of Z, the film version is fascinating if slightly long in the middle, yet definitely worth watching if audiences enjoyed such ethnographic films as At Play in the Fields of the Lord and of course A Handful of Dust. The Lost City of Z gets a film rating of 7.5 out of 10. With glorious sepia coloured cinematography by Darius Khondji, Ellis Island and early 1920’s immigrant New York comes to life in director James Gray’s period film The Immigrant, nominated for the 2013 Palm d’Or. 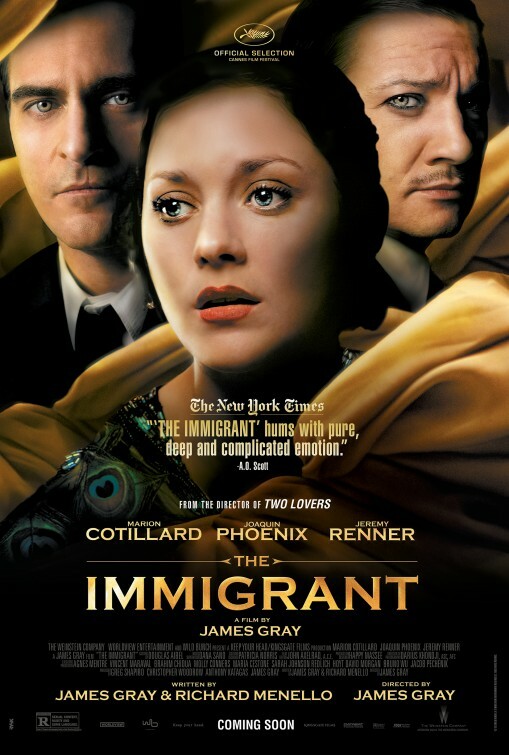 Oscar Winner for La Vie en Rose, French actress Marion Cotillard, speaking both English and Polish gives a complex and nuanced performance as Catholic Polish immigrant Ewa who after arriving on Ellis Island is soon rescued by the crazed opportunistic pimp Bruno, superbly played by Joaquin Phoenix (The Master, Gladiator). The formidably and talented Joaquin Phoenix seems to be director James Gray’s cinematic partner and has starred in most of his films including The Yards, Two Lovers and We Own The Night. Desperate to return to Ellis Island to rescue her sister Magda (played by Armenian actress Angela Sarafyan) who has been quarantined for a contagious lung infection, Ewa soon enters quite bravely into a life of prostitution and cheap vaudeville theatre orchestrated by the erratic sometimes violent Bruno. With a confident flourish Bruno introduces Ewa to the Doves of the Bandit Roost, a sleezy peep show and late night dive spot for immigrant lowlifes. This is New York in 1921 as prohibition has just been enforced and the raunchy social dynamics has been thrust underground. Conflicted by what she is forced to do to get money and her overwhelming desire to rescue her sister Magda, Ewa, gorgeous and enigmatic, brave and brazen gets caught between the unpredictable Bruno and his seemingly more stable cousin, a freelance illusionist Orlando, played with flourish and against type by Jeremy Renner (The Hurt Locker, The Town). Ewa first captures a glimpse of the illustrious Orlando when she is sent back to Ellis Island and becomes an unwilling witness to one of his spell bounding illusions. Soon affection develops between Orlando and Ewa, yet their mutual admiration is constantly thwarted by the controlling and threatening Bruno, who is desperate to make money out of his group of woman who he open flaunts to paying customers under tunnels in New York’s Central park. New York born director James Gray presents a captivating if slightly dim view of the harsh realities of immigrants which arrived in the Big Apple in their thousands following the end of the WW1 leaving a poverty stricken and ruined Europe behind, always in search of the illusive, yet treacherous American Dream. Naturally Cotillard is ravishing and believable as Ewa and the on screen chemistry between her and Phoenix is palpable almost to the point of tragedy much like it was between Kevin Kline and Meryl Streep in the superb film Sophie’s Choice, set almost three decades later. 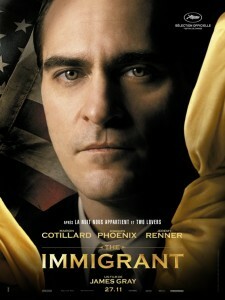 The Immigrant is majestically shot, evocative, moody and brilliantly acted. 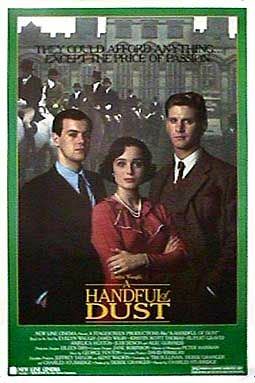 It’s a classic melodrama reminiscent of early Italian Neo Realist films of the late 1940’s. The ambience and production design is beautifully recreated of early 20th century New York in a narrative which highlights that the hardships facing immigrants to any new country are perennial and just as relevant now as it was almost a century. 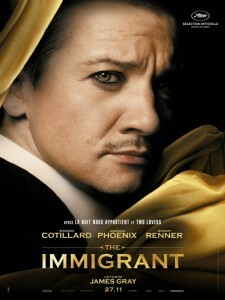 Lovers of atmospheric melodramas focusing on a nuanced yet doomed love triangle, will enjoy The Immigrant, but for many this film will have a very limited appeal.